It's only taken a couple years for the SSD (Solid State Drive) talk to die down. Or, has it? A lot of folks weren't sure about the technology when it first launched. But as more Controllers and different flavors of NAND are thrown in to the mix, performance and pricing are starting to convince us. It would appear that MLC isn't as useless or as bad as originally thought. 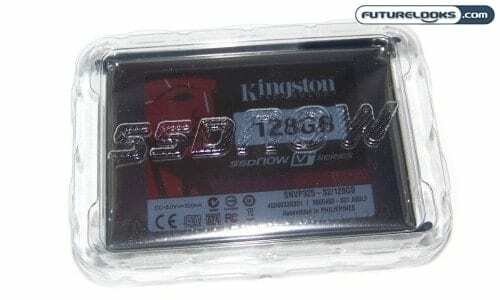 A good example of MLC working would be the next revision of Kingston's previous SSDNow V+ series which gets a new configuration that engineers felt was just better. With a few changes, they were able to get a bit more performance as well as bring the series a little more up to date with other products on the market. Let's see if the change is for the better. One of the benefits of SSDs is the fact that they can operate at temperatures out the range of a regular platter based hard drive. Another benefit is the fact that they are very small and they give great performance to systems like laptops that often get stuck with slower versions of these platter based drives. There are always folks who need very mobile computers for whatever purpose and that movement leads to vibrations which are never good for the spinning platters of a conventional drive. Though the new Revision 2.0 of this drive shares the same name as its predecessor, you'll know that you have the new revision by its model number. 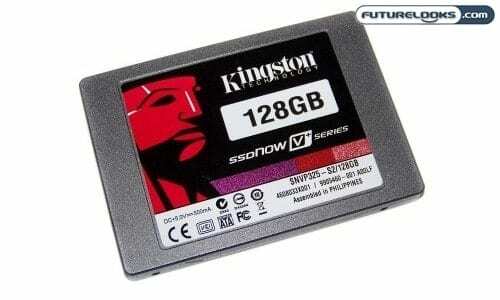 The original 128GB version was known as SNVP225-S2/128GB. The new revision is labeled SNVP325-S2/128GB. So if you're in the store wondering which one you have in your hands, this is how you tell. Version 2 comes in the same 64, 128, 256, and 512GB capacities as the original line. The improvement comes in the form of a new Toshiba controller as well as the addition of Toshiba NAND Flash memory. This configuration should improve both sequential read and write throughput by 10MB/s to 230MB/s and the read should settle at 180MB/s respectively. Version 1 contained a Samsung controller and was rated to 220MB/s Read and 170MB/s. That wasn't too bad in terms of a mainstream SSD. But, if a slight improvement means faster for the same or lesser price, we're all for it. If you've seen the last SSD up close, then you've seen this one too: there are no physical changes to the drive. Since we're checking out the OEM version of this model, it doesn't come with mounting adapters, cables, or specific software which you'll find in the retail package. If you already have these items from your previous SSD purchaes, then that'll save you a few bucks. Otherwise, if you need those items to make it work, buy the retail version. We're going to keep testing as simple as possible so you can apply it to your own system. Benchmarks were taken using SANDRA's Physical Drive Test, QuickBench, Crystal Disk Benchmark, and ATTO just for the elite database admins that rely on small file performance. Most of these tests are free or have free trial offers if you want to compare your current system's storage abilities to the figures we've been able to achieve.